Tinos is one of the smaller Greek islands reached by ferry or boat. 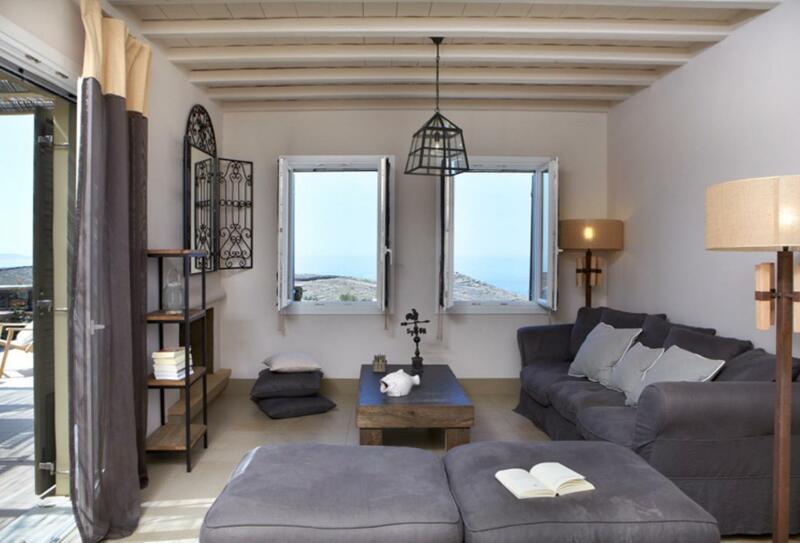 Diles and Rines is situated just 2 miles from Tinos and the port. 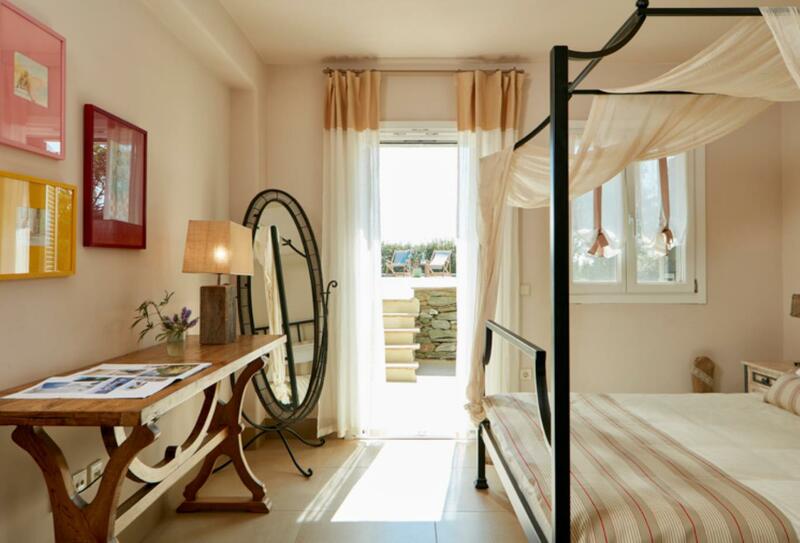 The hotel’s suites are an ideal location for families or groups of friends. 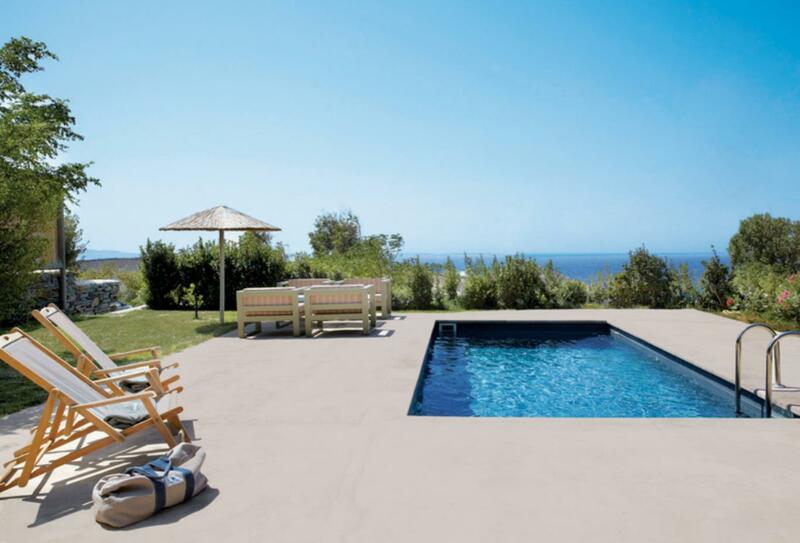 Each villa has a private garden, a fully equipped kitchen, living/dining room and verandas with outdoor sitting areas. There is a restaurant serving authentic Mediterranean food and a dietician, yoga specialist and masseuse. 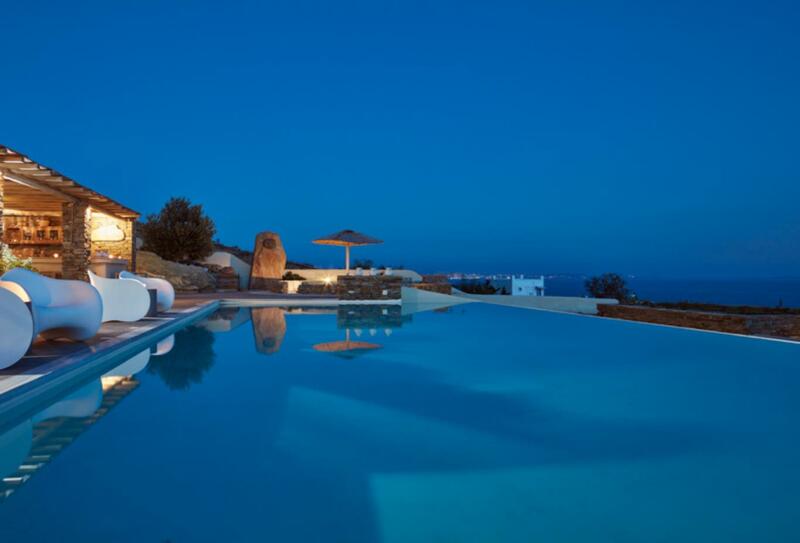 This villa has a private pool and garden that overlooks the Aegean sea and nearby Mykonos and is ideal for families and friends. 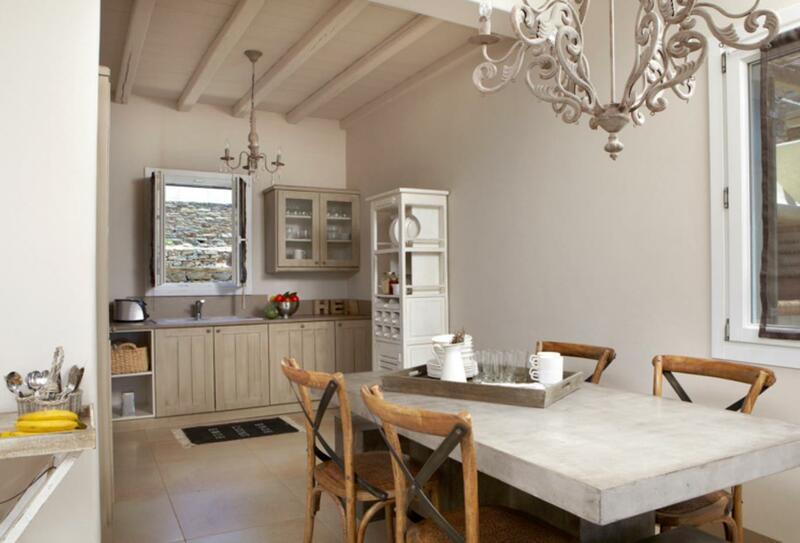 There is a fully equipped kitchen and BBQ area alongside the 3 bedrooms and 3 bathrooms. Menu combines Mediterranean heritage with Greek cuisine. Eat overlooking the main pool. Open during middle high and peak season. Signature Breakfast, All-Day Pool Brunch or Dinner. In-Villa Dining – private chef will prepare a menu based on local products and recipes. Tinos Island is reached by 25-minute boat trip from Mykonos. Fast ferries and boats from Athens, Piraeus and Rafina offer visitors easy access to the Island.